I have a '57 283, 245hp dual quad, t-10 4 speed, and best I can tell, a 3.70 rear end. I'm turning around 3,000 rpm at 60mph. Is there a max recommended rpm for extended cruising? SBC should turn 3K rpm all day long, but I have no idea how high to push it. 3000 at 60 mph sounds more like a 4.11 gear. 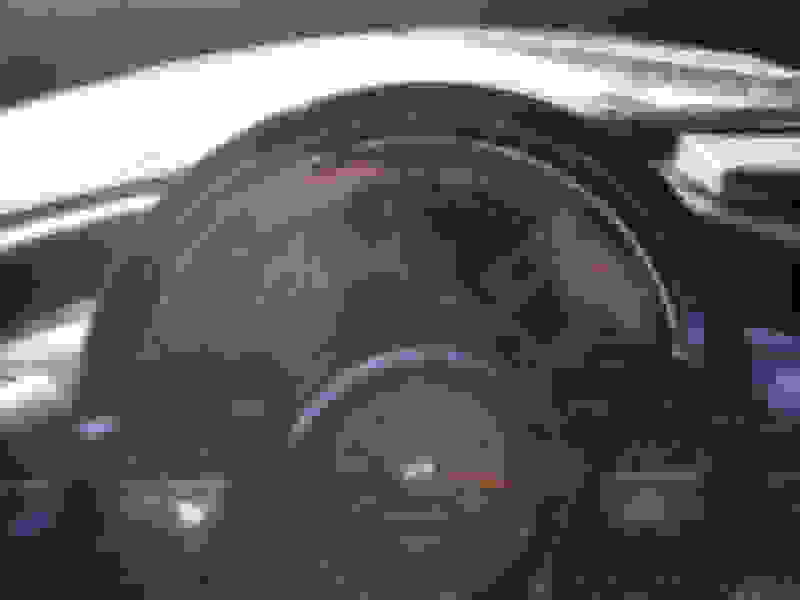 Be that as it may, when you car was new, 3.70 gears were put in most/many cars of all makes. Many even had 4.11's and the speed limits back then was 65 mph most everywhere. I'd say 4000. My 2.0L Cosworth Vega turns 4000 at 80 and 2.2L MR2 is not far behind at 3900. With only a 3" stroke, 283 mean piston speed is only 2000 fpm at 4000. Consider that a typical HD diesel used in big rigs with a six inch stroke is governed at 1800 revs, which is 1800 fpm, and huge marine diesels (up to 7-feet stroke, yes, 7-feet ) cruise at about 1100-1200 fpm. So the bottom end isn't that highly stressed, but characteristic valve train speed is pretty high, which is why vintage Chevy engines typically need a top end overhaul with new valve guides long before ring and bore wear causes excessive leakage. Most guys rarely consider mean piston speed, but it's a good way to compare the relative stress levels of any engine from a model airplane .049 to those those huge marine diesels. Last edited by SWCDuke; 03-24-2019 at 03:52 PM. Can anyone directly answer this question? I am curious as to what maximum RPM is safe to run a small block Chevy engine at for sustained periods of time? That would require detailed knowledge of the current engine condition (e.g., level of wear and damage), knowing what parts are in it (OEM stock or aftermarket, and if so, what kind), and what combination of parts are in it (small journal rods, what cam & lifters, etc.). But assuming its all OEM stock, wear is proportional to piston feet/mile which is greater for a lower-greared engine (and is not linear). Plus, 1950s engines did not have the wear capacity that newer engines do/did. So a lower-geared engine that might last 80K miles might only last 50K miles at a steady 3-4K cruising rpm. Cruise all day at 5000-5500 rpm and you'll wear out before the engine, IMO. I've cruised all day at 3,000-3,500 with bursts to 4,000+ rpm in mine, but it's not exactly relaxing. As far as a safe sustained speed? I would suppose that a graph of that curve would be on a log scale, and non-linear. In short, I think you're on your own. I have a 4.56 rear end in my '63 fuelie, it is very comfortable at 3600 rpm for a hundred miles or so. Having trouble sending you a PM from my Smartphone. Are you located in North Texas by any chance? I might know you from years ago. Thanks. I think you're confusing safe with wear rate. When these cars were designed, the engines were usually good for 90-100K miles. Sometimes more, sometimes less. When they weren't any good anymore, it usually wasn't because something broke, it was because the whole shebang was worn out. As stated above, most/many cars of this era had a 3.70 drear gear. I believe that's about 450 revs for every 10 mph. The speed limit was mostly 65 so you can assume the cars were engineered to run 90-100 miles at somewhere between 2500 and 3000 rpm and the engine would need attention. Just about the same time the driver's seat would wear out, rust would start popping through and a host of other problems would pop up. But, there have been probably 100's of thousands of SBC's torn up, broke, blown up, simply by exceeding the rpm range above which the engine was designed to run. Run it fast and hard, the engines will wear quickly (I didn't say, break). Run it nice and easy and they'll run a long time. 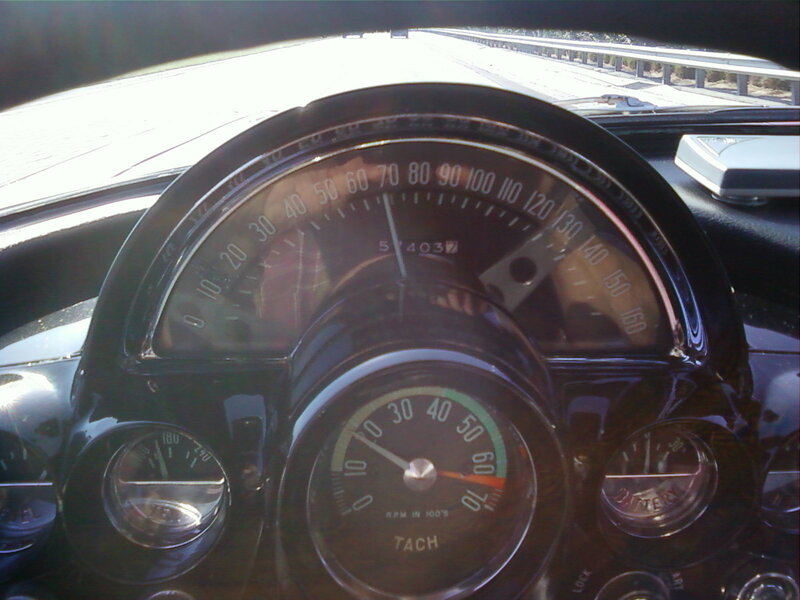 I drove my 57 all day long at 65-70mph running 3200+ rpm. Biggest issue is gas consumption! Like others have said, a lot depends on condition of your engine. My recommendation is 3500 RPM. Many here (self included) have run this RPM for days in our travels across the country. Occasional burst to 4000 -5000 RPM for passing........or showing off. No measurable wear on the engine, although oil consumption may be a bit elevated. OP wanted an opinion...........and that's mine. I am specially referring to my 383 stroker which is balanced and blueprinted. It has a TRUE 11 to 1 compression with a L82 hydraulic cam, all good quality parts. I have a 3.70 rear and a standard 4 speed (no 5 speed) I occasionally drive (maybe once a month) on the freeway at 85 mph for about 2 hours straight. I know it will not really hurt the engine but do know it will create more wear at the higher rpms. I am just wondering how much it will effect when it will wear the engine before it needs a rebuild? The rest of my driving is within a 25-50 mile radius of my home with speed limits of 65 mph max. However I don’t baby the car and drive it as it was intended with the build. On my recent trip of 4000 miles with the car I switched the rear end to a 3.08 as I knew I would be driving 85 mph for many hours during the trip and wanted to reduce the wear on the engine. Now that trip is over and there will be no others like it I have the 3.70 gears back in the car. I have the answers for all stock and some modified vintage Chevy engines, but they are all classified TOP SECRET/NO FORN. It's a national security issue. Otherwise, just take any engine, put it on a dyno, and run it at full load at the redline and record how much time it takes to blow up. Coolant and oil temperatures that remain over 250F will blow up sooner than if they are maintained at 200. A not-so-good configuration might only last a few minutes. A really good one should last at least 24 hours. Last edited by SWCDuke; 03-24-2019 at 06:36 PM. My experience is with a totally stock 283 in a 61' C30 truck with 5.13 gears (my fathers truck). We would drive at 75-80 mph for hours on the desert highways, at +4500 rpm, all day sometimes. Once you get used to the rpm, the fear of it blowing up just goes away. We would pull the heads and do a valve job with new stem seals, and knurled or new guides, every few years, but the bottom end was only apart once for new rings (an in-chassis cylinder hone and ring replacement). With the granny gear 4-speed there were a number of times me or one of my brothers would plant our foot to the floor in 1st and wait for the WCBF and oil bath air cleaner to starve engine of air at the rpm limit. I gained a lot of respect for the abuse a SBC can take driving that truck as a teenager. I doubt many people can beat on a 283 they way we did, and the engine just took it all in stride without a problem. Wow! Lot's of good discussion. My motor has good oil pressure and is mechanically, very quiet; no lifter noise, knocking, etc. No telling how many owned this car before me, or if the motor has been rebuilt, or how many miles are really on it (Odometer reads 16K+). I'm not concerned about gas mileage, and not really concerned about accelerated wear. Just don't want to start throwing rods through the oil pan. I guess I'm really asking if the motor is sound, is a constant 3,500 rpm within reason? Skid Row Joe, tried to PM you, but it appears you have that disabled; sent you an email. Are you a worry wart or what? Ha! Didn't think so, but I guess I am in a way. I like putting my foot in it when I can. I just don't want to "abuse" it.